Once a fresh, budding accounting student gains certification, this status serves as a sign that he/she has gained the skills, education, and verification needed in order to practice his/her trade. That means that he/she can go out into the job field in search of open positions related to bookkeeping, accounting, and auditing. One might wonder, “What roles do accountants play in auditing?” The first step toward learning about this role is to understand the multiple purposes an accountant can serve. First of all, it is crucial to understand what accountants do. Accountants play a pivotal role in tracking a business’ finances and filing taxes. For this reason, it is the accountant’s duty to ensure that everything is done properly. Every so often, these professionals will be faced with an intimidating audit. FNU understands that the best solution to a problem is to hinder it from taking place initially. 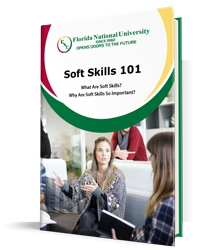 Likewise, preparing students now for what lies ahead is the best way to enhance a professional’s future. The first step in defeating an audit is to prevent one from happening at all. 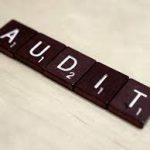 Individuals can follow certain steps to lower the chances of an audit tips for avoiding an More audit. When accountants are faced with no other option than to proceed with an audit, they should never be left scrambling, lacking access to the proper information. While preparing taxes, it is crucial to only claim information that one has proof of—and hold tight to this proof! Keep a record of all credits and deductions claimed while filing taxes, and store them for several years. Should the chance for an audit arise, all of the files, receipts, documents, and other information will be easily accessible. This will help accountants complete the audit in a timely manner while also lowering the chances of a second—or third—audit taking place. If the IRS finds that there is a problem in the first audit, they might go back as far as six years to verify whether the taxes were filed correctly in previous seasons. As important as it is to keep all documents, it is equally as important to document reports, books, receipts, records, and other information electronically—and back this information on an extra hard drive. Not only does this help lower the possibility of losing these valuable files, but also it provides an easier method of organization and enhanced accessibility. Some businesses have a problem—they often fail to file taxes for financial transactions that they believe others will not file. However, should the other party file those taxes, the IRS will be on red alert, in search of the other side of that transaction. This is where a lot of freelancers can run into trouble: they might fail to list wages earned, but the companies who paid them do not. The IRS views this as a sign that other wages may not have been reported, and thus begins the audit. As an accountant, individuals can ensure that he/she is always in alignment with the law. It is better to be on the flagging side than the side of the one who was flagged. Associate of Arts: The program is designed for students planning to pursue a higher-level degree in Accounting as well as to prepare the student for employment as an entry-level accountant, bookkeeper or general accounting clerk. The program is designed to provide the student with an intensive background in general accounting procedures and principles, business principles, and automated accounting procedures. Associate of Science: The objective of this program is to prepare the student for employment as an entry-level accountant, bookkeeper or general accounting clerk. The program is designed to provide the student with an intensive background in general accounting procedures and principles, business principles, and automated accounting procedures. Bachelor of Science: The accounting degree provides students with a solid academic foundation for entry into professional careers in accounting-related areas of business and government. The program also prepares students to pursue advanced education in accounting and accounting-related fields. Florida National University is dedicated to preparing you for tomorrow—whether that means offering tips for your future job, helping you find your future job via our Job Placement Department, or by providing the education needed to excel at your career. If you are ready to become part of the FNU family, review a list of our programs. When you find a program that piques your interest, apply now! “Summary.” U.S. Bureau of Labor Statistics. U.S. Bureau of Labor Statistics, n.d. Web. 22 Jan. 2015.